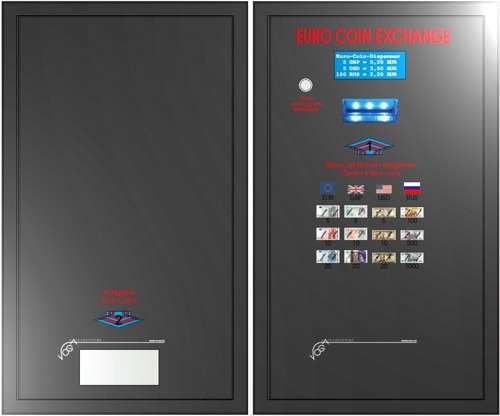 Our Money Changer can change notes into coins or tokens. Optionally, the unitcan also accept coins, card systems and give change back. Also dispend cards and tickets and so on is available. The constant availability of coins increasing sales volume. Through the use of a money changer, the burden of personnel in many areas is reduced enrom. The display shows the customer to clear information about the change process. The setting is simple with just a few keys, allowing the operator to read information at any time and device settings. By Intgegration card system, more customer loyalty can be generated.